iGalerie Photo Gallery hosting is one of the easiest ways to quickly setup an online photo album. Hosting for your iGalerie website that just works. Servers optimized to give you the best iGalerie experience possible. We’ll even install iGalerie for you! We’ll move the iGalerie site for you! Softaculous auto-installer – Install iGalerie in just a few clicks. GD support – Needed for many iGalerie plugins. Zend and Ioncube support – Needed for some iGalerie plugins. 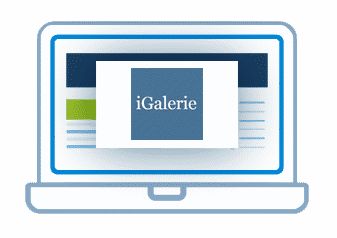 iGallery is an open and free PHP application that allows you to create and manage your photo gallery as just that effectively . 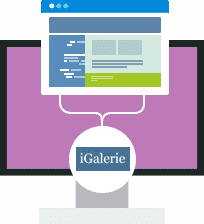 With iGallery, adjustments are made via an ergonomic and user-friendly administration interface clear. All functions can be activated by a mouse click, allowing you to create a minimalist gallery as a very complete gallery. And thanks to the contextual and full documentation online help, you’ll never get lost!